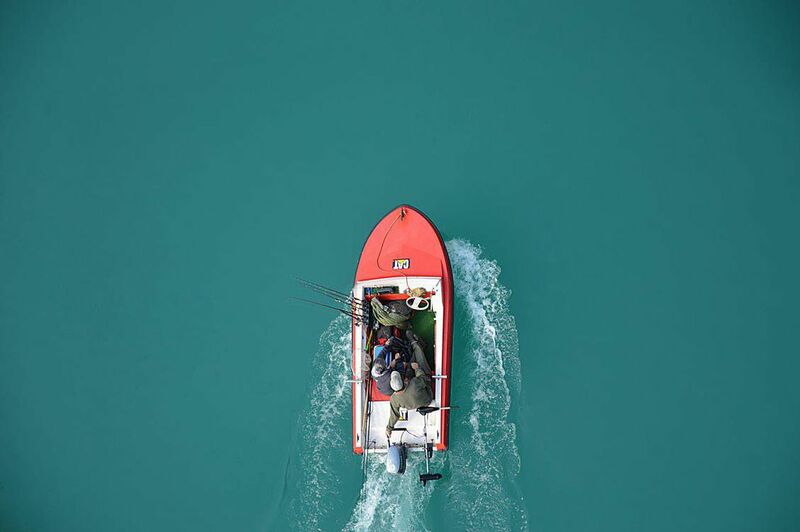 This is the month many anglers have been waiting for. A unique trio of bottom fish can be taken starting June 1st. Gag grouper, red grouper and American red snapper can all be harvested. Charter boats like myself will have 51 days to take clients out to capture this delicious trio of fish. After July 21st, boats for hire will not be able to harvest red snapper. Although, red and gag grouper will still be available. They all seem to congregate on many of the same rocky areas in the gulf. 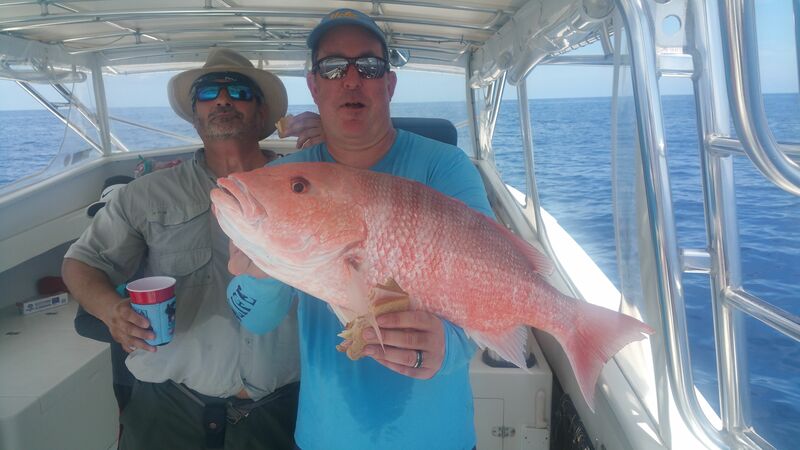 So far this year, red groupers has been somewhat available in the deeper waters of the gulf. Scattered reports have come in from 95 feet of water and deeper. It's been a one of the slowest yearsin many for red grouper so far. Now that American red snapper can be harvested, it will make the ride out 30 plus miles a bit more worthwhile. 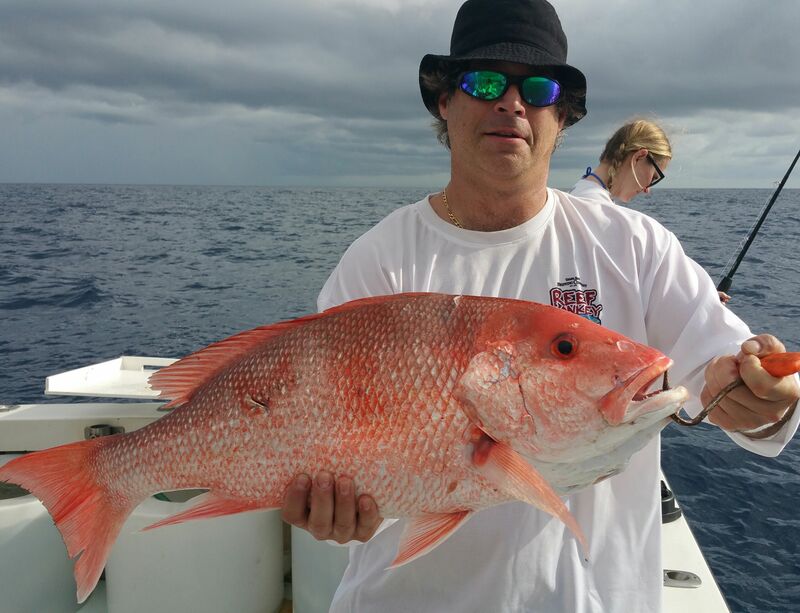 For the past 3 months we have been releasing red snapper just about everywhere we tried to find a red grouper. They have been settled on the flat hard bottom areas out in the gulf that are known for good bottom to fish for red grouper. 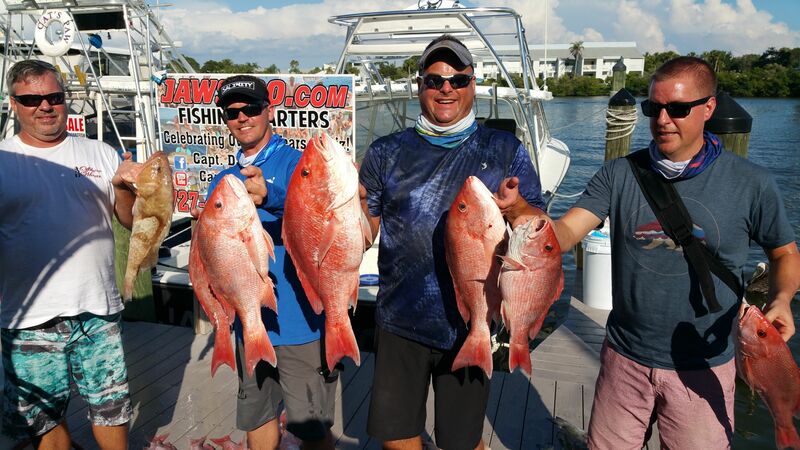 Red snappers have made quite a comeback in the past 2 decades. We have landed numerous nice sized fish in depths of 70 plus feet of water, this spring. A few nice gag groupers are also present. Ledges and rock piles that are holding a few gag groupers, will normally have a nice big red snapper or two to add to the mix. Anglers will find that you don’t have travel bur 10 or fifteen miles to get a few of these two delicious tasting fish. Red grouper are not present in these shallower depths as some years past.